I grew up in a Chinese-American home where we ate Chinese food every day. By the time I moved to China as an adult, it no longer had the power to thrill me. 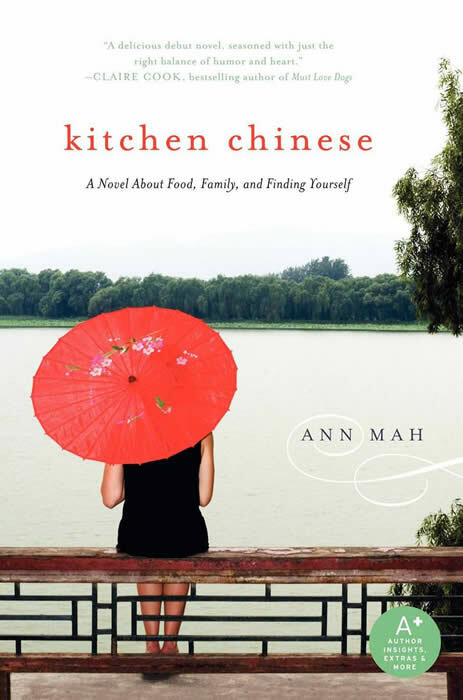 Like Isabelle, the main character in Kitchen Chinese, I thought I knew everything about Chinese cuisine. Living in Beijing for four years was a revelation of different dishes, flavors, spices, and textures. I discovered a world beyond my own narrow experience, an enormous country divided into different regions, each with its own unique and vibrant cuisine. I ate with an open heart, and was rewarded by a greater understanding of an ancient and diverse country, and a greater acceptance of my own ethnic identity – experiences that formed the foundation of my novel. Still, though I love to cook, I never cooked Chinese food at home. That is, not until a couple of years ago when I left Beijing and moved to Paris. Somewhere amid the gracious sweep of Hausmannian buildings, with my cravings for unpasteurized cheese and red wine finally satisfied, I began to yearn for something else… something spicy. My dad gave me the recipe below – he’s a wonderful, creative cook who has been making these salt and pepper shrimp since I was a kid. Though in the book I imagine Isabelle’s mother making this dish as part of a multi-course Chinese feast, I like to serve the shrimp as a first course, pairing them with a leafy herb salad. Together the two form an east-meets-west combination, a fusion of two cultures – sort of like Isabelle, and sort of like me, too. 1. To make the salad: Toss arugula or salad greens with the leafy herbs. Add the vinegar and oils, toss, and distribute evenly to four salad plates. 2. To make the shrimp: Toss the shrimp with the salt-sugar-pepper mixture in a medium bowl, and set aside. Heat 1 tablespoon of the olive oil in a wok or sauté pan on medium-high heat until smoking. Add shrimp to the hot pan. 3. As the shrimp cook, sprinkle them with 1 tablespoon of cornstarch. Add more oil if pan becomes too dry. Turn the shrimp when they turn pink, about 1½ minutes, and add remaining tablespoon of cornstarch. The cooking process only takes a few minutes. 4. When the shrimp have just turned pink, add the minced garlic and toss. Add the green onions and toss. Add just enough sherry to create a sauce that barely coats the shrimp. Remove from heat. Add the pine nuts. 5. Place 3 shrimp with sauce on top of greens on each plate. Serve immediately. Note: This is a master batch for your spice cabinet. You can increase the quantities to make more and store it in a jar. Combine ingredients. Store in a tightly covered jar.